Esports is just what NewTek has been waiting for. The company’s IP-based production tools are a hit with gamers streaming from one-room flats or from world stages. The meteoric rise of esports, now a billion-dollar entertainment sensation drawing hundreds of millions of viewers, seemingly happened out of nowhere. But considering human competitiveness and the power of connected technology, it’s easy to see how gaming quickly evolved from head-to-head encounters between family and friends, to high-intensity online showdowns with team-based tournaments selling out arenas worldwide. Today the phenomenon is burning up record bandwidth on game streaming platforms like Twitch, Mixer and YouTube Gaming, captivating viewers in arenas and on connected devices with professionally produced live events,which are even crossing over into mainstream broadcast. 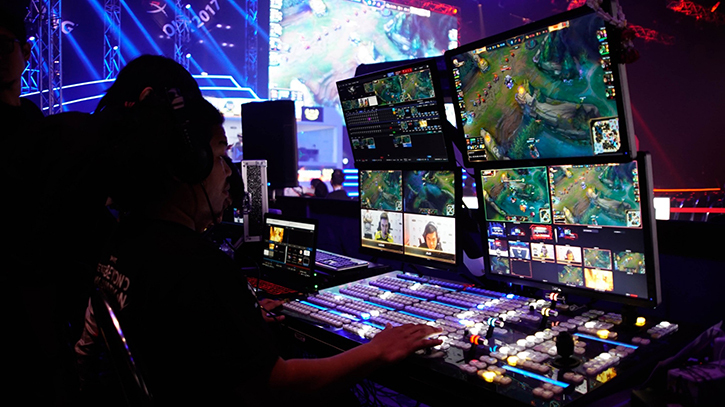 With this ongoing venture into spaces more commonly occupied by traditional A/V and broadcast technologies, synergy between multi-camera production and high-performance PC gaming is essential. Enter NewTek, a company which accelerated the desktop video revolution with products like its popular Tricaster vision mixer. At IBC2015, the company introduced NDI, a royalty-free IP technology for sharing live video, audio, and data between compatible systems and software across Ethernet networks. With its long-standing investment in computers, software, and networks as the future of video production, NewTek has tried to position itself as a solutions provider for game streamers and esports producers at every level. NewTek’s software-driven solutions are being widely adopted for esports event coverage and studio-style content creation. Natively accommodating the IP output signals from gaming rigs via NDI, while offering the functionality to incorporate conventional broadcast SDI video sources, IP cameras, graphics, effects, and more, NewTek live production systems like the TriCaster TC1 and VMC1 allow esports broadcasters to interconnect media sources and produce events to scale. The hardware does this without the scan converters, adapters, and all of the associated cabling that typical baseband broadcast switchers would normally require. NewTek systems support incoming video signals at their native resolution and frame rate, meaning gameplay content is being processed through the production in the same 1080p 60 format as its original machine, rather than being subject to down-conversion and up-conversion cycles. The technology seems tailor-made for the emerging game streaming market, and some of the most high-profile esports projects around the world have had NewTek hardware and software front and centre. NewTek tools featured prominently in the McLaren Formula 1 team’s groundbreaking 24-hour Le Mans simulation race to crown the World’s Fastest Gamer. Held at the McLaren Technology Centre in Woking, England, the global sports and technology brand hosted the best virtual racing drivers on the planet, pitting them in a competition that combined traditional broadcast workflow elements and a real-time, point-of-view gameplay presentation for simultaneous on-site production and live streaming. In China, esports organiser CGA Asia Pacific recently documented its process for presenting the finals of DJI’s RoboMaster tournament, a science and technology esports event held at Shenzhen Bay Sports Center, a multi-use stadium. 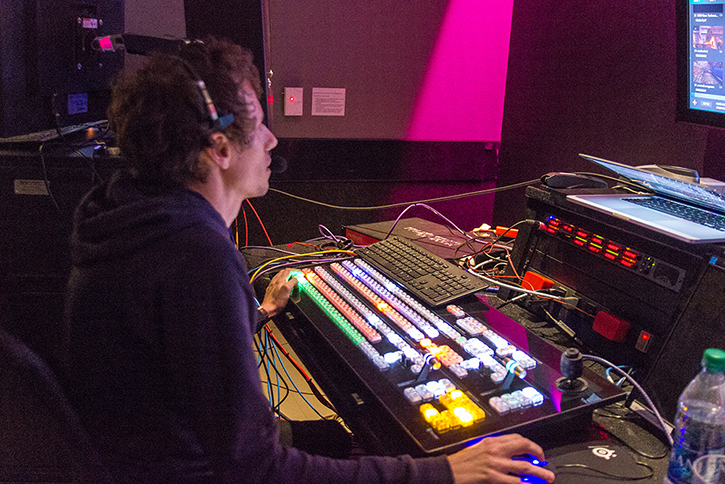 With NewTek’s TriCaster TC1 as the centerpiece, CGA delivered a stellar live broadcast while simultaneously entertaining the 15,000 spectators in attendance. 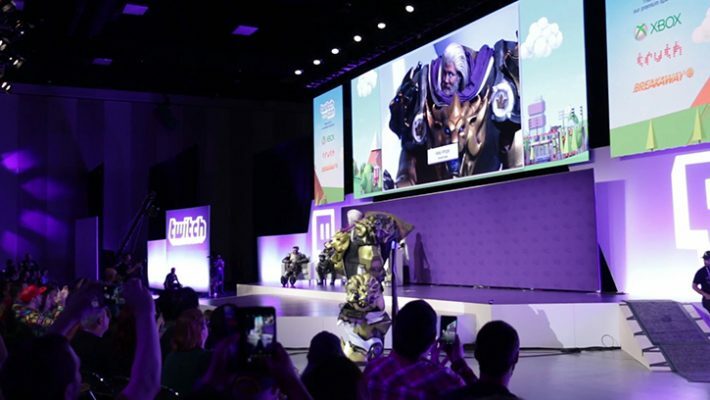 And perhaps most tellingly, game streaming powerhouse Twitch has tapped NewTek solutions not only for its headquarters in San Francisco, but for its stage and streaming efforts at TwitchCon and must-attend gaming confab E3. In the end, NewTek’s easy-to-use tools, which leverage the power of IP networks as well as the flexibility of the A/V world, have made them a favourite in the field of esports – whether that’s amateur gamers with Twitch channels or big esports companies putting on events that reach millions.